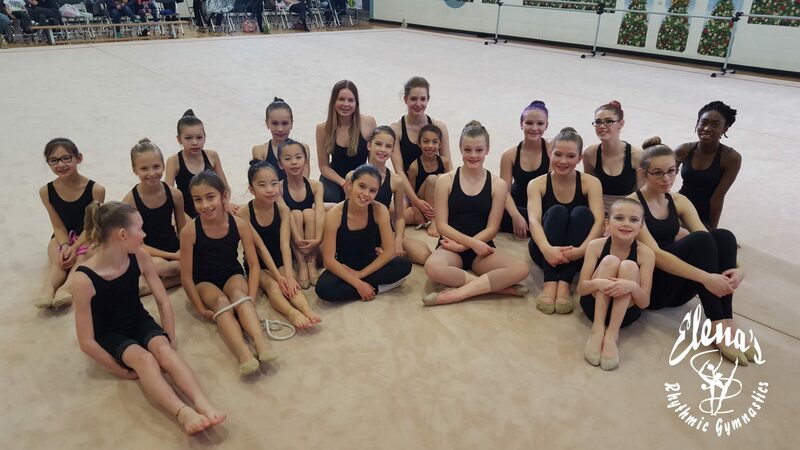 Quality rhythmic gymnastics for all levels in Edmonton's South West. Fitness, Friends and Fun! 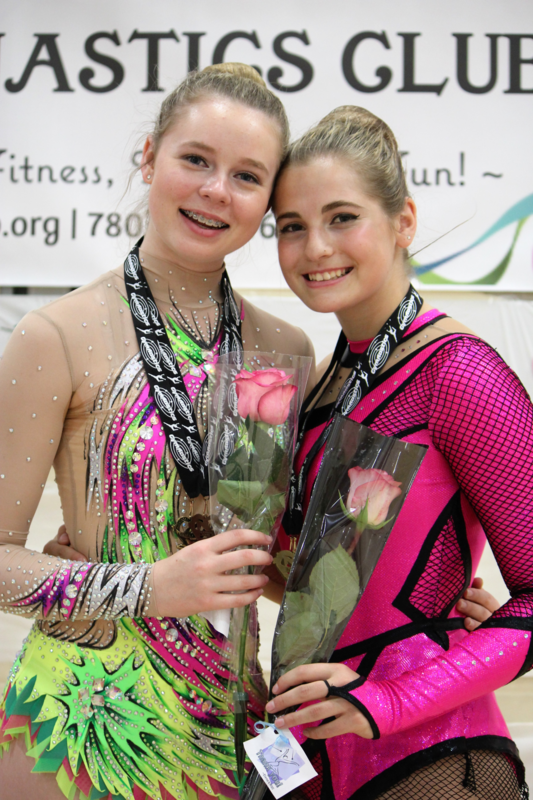 For those gymnasts who are want to pursue rhythmic gymnastics as a competitive sport, we offer high caliber Interclub and Western Regional/Provincial stream competitive gymnastics with regional and national travel opportunities. The gymnasts are driven to excel and grow within the sport. All competitive steams train 2-3 times per week including a Vaganova Ballet class with a ballet instructor - the strongest foundation for rhythmic gymnastics. All levels in the competitive stream are by audition only and a 6-week trial period at the start of the season for new gymnasts. This program is an introductory program based on the Interclub Stream (below) at a reduced 4.5 hours per week. Gymnasts train twice a week, with 1 hour of ballet included, and will compete with one routine at Interclub competitions. Gymnasts will compete in 4+ competitions per season and will perform in 3+ shows. Routines: Gymnasts master 1 choreography. Showpieces may be added. This program is for entry-level competitive gymnasts. Gymnasts learn how to train individually and begin learning the mental components of rhythmic gymnastics (focus, composure, relaxation and control). 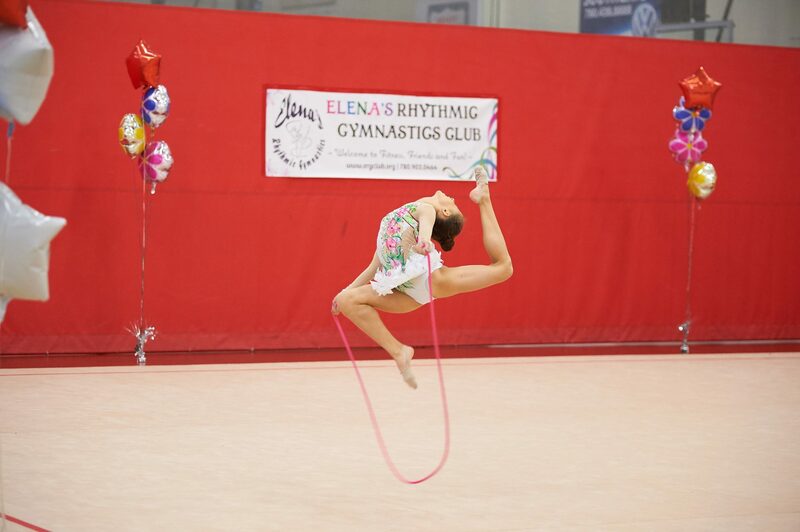 Gymnasts receive more challenging choreographies and more advanced apparatus and body skills. Strong technique and foundation is refined. Routines: Gymnasts master 2-3 choreographies. Showpieces may be added. Higher level competitive program for the Provincial or Western Regional stream. Gymnasts express a dedication and a strong application to their mastery of the sport. Routines are highly individualized to each gymnast. There is a strong focus on polishing gymnasts, while growing their flexibility and their strength. Gymnasts will compete in 7+ competitions per season and will perform in 3+ shows. No Classes: Oct 8, 19, 31; Nov 11-14; Dec 23-Jan 2; Feb 1, 18, 28; Mar 1; March 24-Apr 1; Apr 19-22; May 18-21. Full info in TeamSnap. There may be other competitions, shows, or festivals that come up. - Additional appropriate training attire - Black leggings/shorts. Solid coloured tanks/leotards. White ankle socks. Full Terms & Conditions are available in the Competitive Handbook under Resources. The 2018-2019 edition will be prepared for September 2018. Noncompliance with the terms and conditions by parents and/or gymnasts may lead to the gymnast's withdrawal from the program. 2. The session fees include the base training fees from September to June, group costumes for the Winter and Year End Shows, and Ballet instruction fees. They do not include the $60.00 Registration Fee for Interclub, or the $100 Registration Fee for Provincial Level. They also do not include individual gymnast registration for performing or competitive events, nor individual costs pertaining to suits, competitive outfits, training wear, team uniforms and apparatus. Fees are accepted by 1) cheque to "ERGC" or by 2) cash in labelled and sealed envelopes. 3. A $250 Non-Refundable Deposit is REQUIRED to confirm your spot with the competitive team. This deposit will be applied towards training fees for 2018-2019. New Gymnasts: deposit must be received within 2 weeks after you have received your acceptance email. Current Gymnasts: deposit must be received by June 25th, 2018. Payment can be submitted through the website or by cheque to "ERGC"
4. 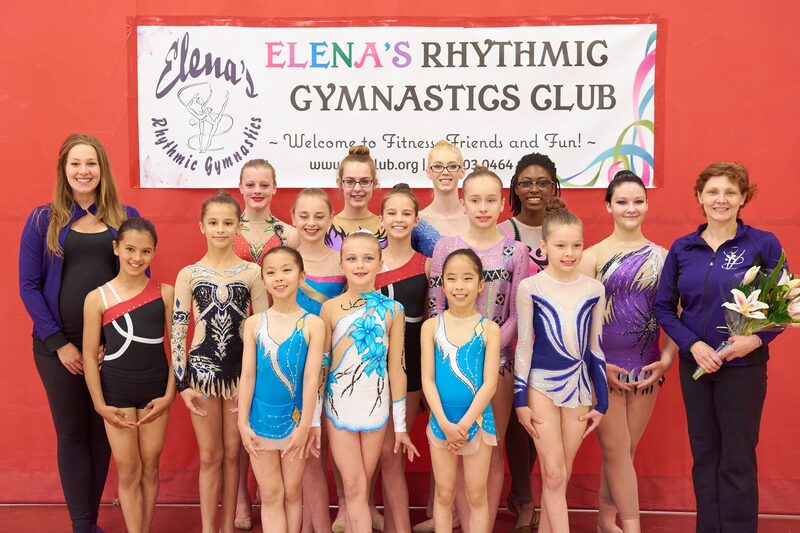 The $60.00/$100.00 Registration fee per gymnast per season covers registration with Rhythmic Gymnastics Alberta and RG Canada. This fee is not refundable once classes have started in September 2018, but is refundable during the pre-registration period prior to class commencement. 5. Payment plan: Total payment in one cheque or three post-dated cheques to be dated Sept 15/18; Jan 1/19; April 1/19 and must be submitted with Registration Form (online), Waiver of Commitment (paper), PIPEDA Form (paper) and $60.00/$100.00 Registration Fee (online or cheque). Please, make cheques payable to ERGC. All cheques and forms must be submitted by September 1, 2018. 6. Participation will NOT be allowed without accepted registration form and fees. - $125 penalty deposit cheques per obligatory shift is to be collected at the beginning of the Casino year. If required shifts are not fulfilled by families, the penalty cheques will be deposited. - For extra shifts that are filled by competitive or performing families, each shift will give a $75 credit towards the gymnasts' upcoming session fees. 8. All families are required to participate in volunteer activities (organizing and helping with shows and competitions). All gymnasts must help with carpet setup and roll up. If parents wish to speed up the process, they are welcome to assist the gymnasts. These are not under the coach's responsibilities. 9. If an athlete wishes to terminate their enrolment from a program, a minimum of two weeks’ written notice must be given before the beginning of the following session. No refund will be made for missed classes or for the current session. 10. Each new gymnast will be under a 6-week trial period at the start of their competitive season. After this period, the Head Coach and Senior Competitive Coach may reassign the gymnast to another program/class if they deem it necessary. 11. It is at the Head Coach's discretion to reschedule cancelled classes. The reality of cancelled classes has been incorporated into the session fees. 12. Absolutely No Parents, Friends or Family members are allowed in the gym during training time. There will be special announced "Open Classes" where friends and family will be able to sit in during the class. 13. Proper attire is MANDATORY for all training, shows and competitions. Proper attire and team uniforms is outlined in the Competitive Handbook. Gymnasts must be equipped with proper training attire by October 2018.